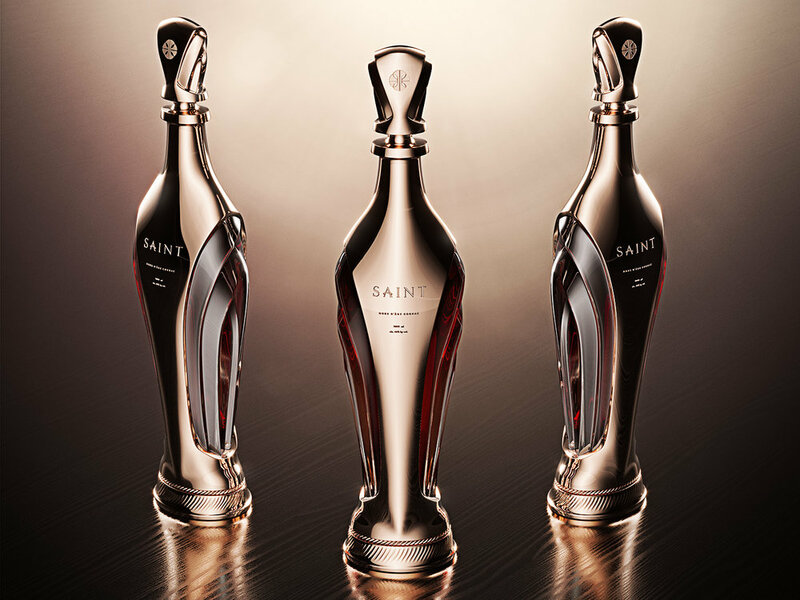 Luxury cognac concept bottle Saint is inspired by the gothic architecture, particularly cathedrals and semantics related to religion. The execution would be crystal glass with hand painted golden layer. 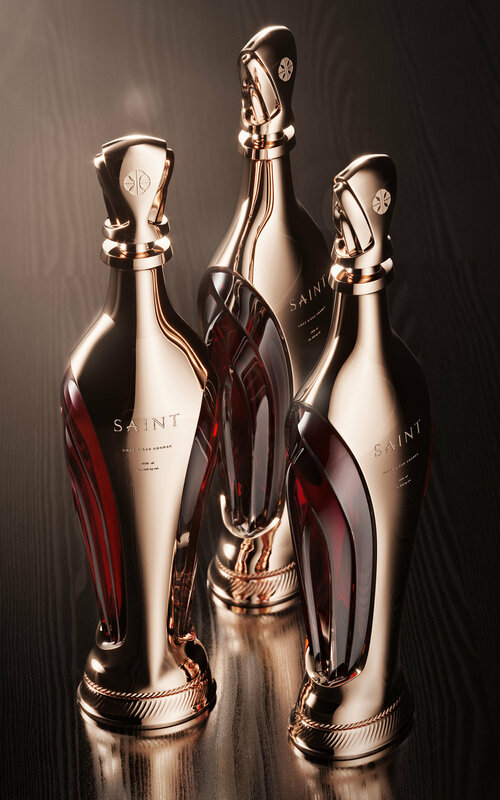 The stopper is crystal glass as well, again with applied golden layer that fades at the end revealing glass closure. Manufacturing price would be around 150 - 170 eur per one piece in minimum order of 1000 pieces, excluding the price of moulds. payable in one or two steps.